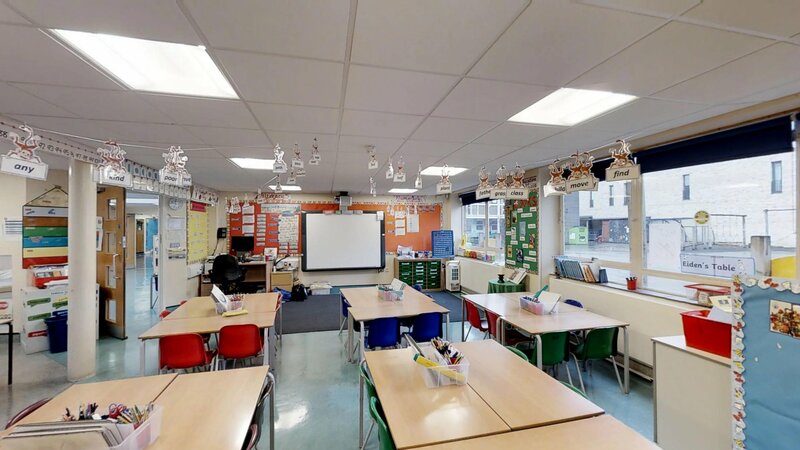 Situated in the heart of Hackney, St Monica’s Primary School is less than a 10 minute walk from both Old Street and Hoxton Station. It boasts a large main hall and a music room, amongst other spaces, making it the ideal to hire for your rehearsals, shows, and exercise classes. St Monica's spacious main hall comes equipped with a piano, benches, and mats. 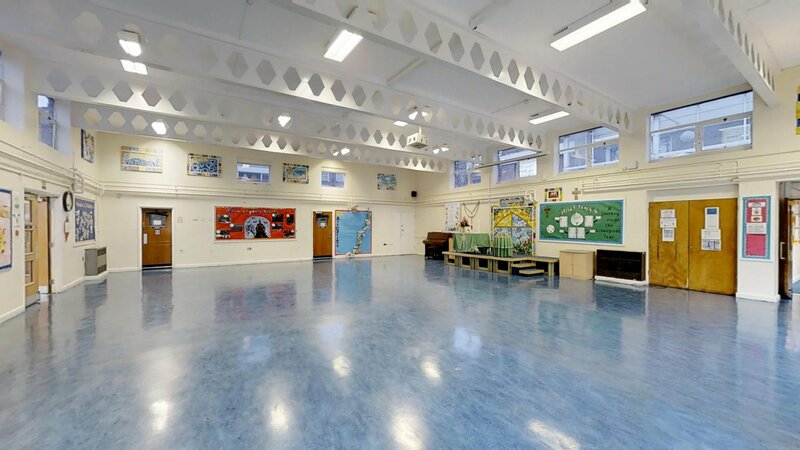 If you're looking to hire a space in the heart of Hackney, be it for exercise classes or celebrations, this main hall ticks all the boxes. Looking for a space for that all important meeting? 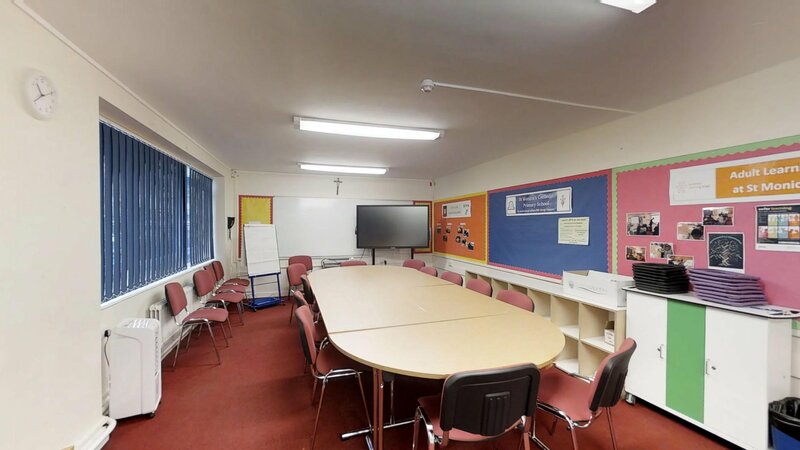 St Monica's meeting room can host 10-15 people and you're free to use the flipboard if you like. Need hot drinks to keep you fuelled during your meetings? The room comes with an urn - so no more runs to fill up that kettle every time someone wants a brew. 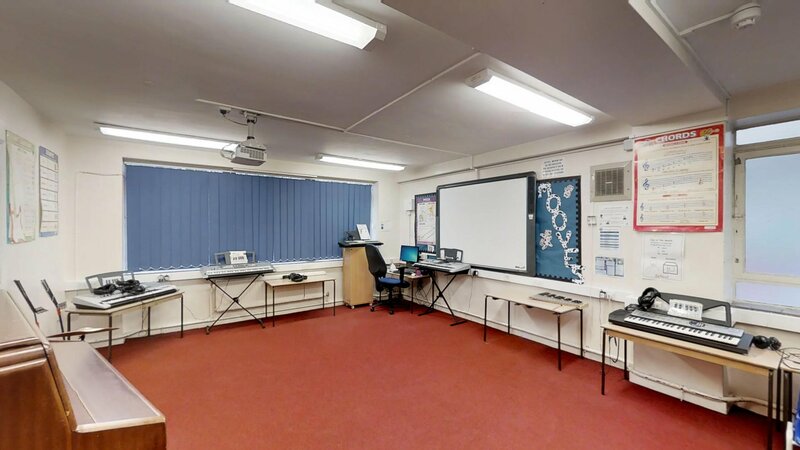 If you're a tutor, be it for maths lessons or language classes, St Monica's two classrooms are perfect for you. These can hold approximately 30 students each and come equipped with whiteboards, tables, and chairs. 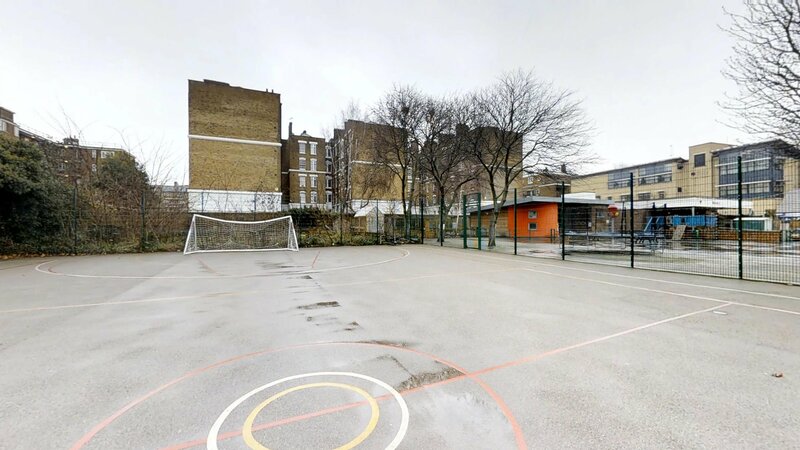 The school's playground has markings that would work for a game of netball, basketball, or 5-a-side football. Whether you're having a game with your friends or running a training session, do get in touch. If you are looking to book St Monica’s Primary School, please plan in advance! We are unable to accept bookings or amendments less than 7 days in advance of your proposed start date.